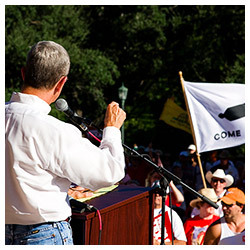 In 2009, Hands Off Texas! was launched as a single rally on September 12th at the Texas Capitol to protest the Democratic National Committee holding their annual fall meeting in Austin. 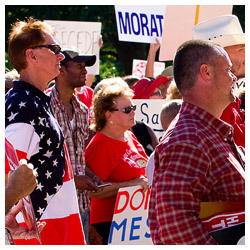 A year later, it had grown into a movement of thousands of Texans who came out to protest President Obama’s next visit to Texas and an online community of tens of thousands of Texans who rallied together on this site and at the ballot box to send a clear message to President Obama and the National Democratic Party. The result: The most historic Republican victory in Texas history. It’s 2012, and we’re back to finish the mission we started three years ago. Get Involved with Hands Off Texas! 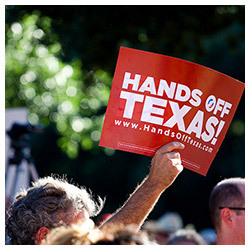 For 2012, we’re rebooting Hands Off Texas! and we’d love your help. Please share your ideas for protecting Texas from President Obama, the Democratic National Committee, their SuperPACS and army of “community organizers” who have Texas in their sights. 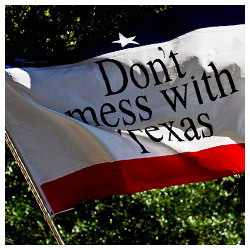 Send a message to President Obama & the Democratic Party: Hands Off Texas!